especially in developing nations have subjugated the rule of law to protect human rights. recorded in Rwanda, Democratic Republic of Congo, Sudan and Chad among other countries. tion for the United Nations to intervene in order to protect the rights of peoples. situation reminiscent of the German Holocaust. (R2P). This dissertation explores that R2P application in the case of Darfur in Sudan. proponents of the actions to the victims of the conflict. and sustainable peace across the world; particularly in regions there is armed conflict. 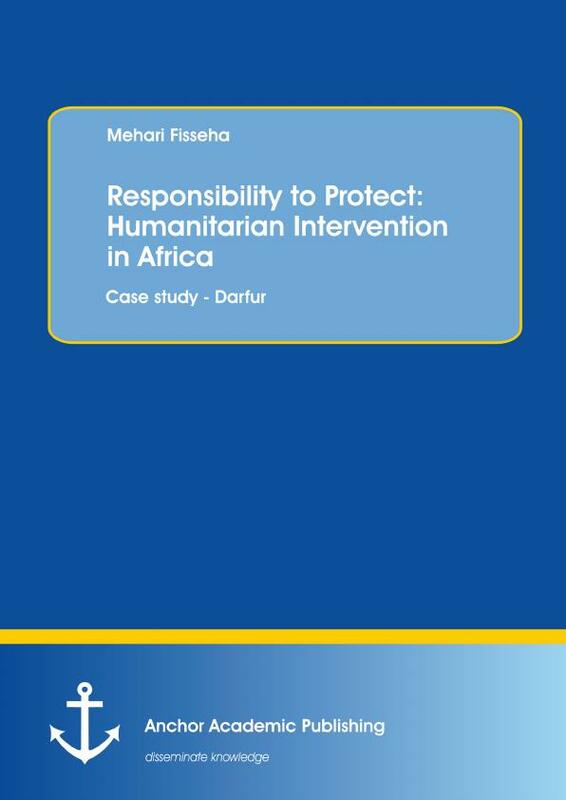 on how they can be applied in cases of armed conflict; particularly in the case of Darfur. the individual who is believed to be behind all the crimes taking place in Darfur, Al-Bashir. protect the civilians in the Darfur Region. 2004) but did not provide the requriement for the intervention. of the case in Darfur. purpose (United Nations Security Council, 2013, para. 1). slowing down efforts to facilitate actual humanitarian intervention urgently in times of need. of human rights taking place across the world. impartial authority tasked with the responsibility of actualizing humanitarian intervention. unabated for many years despite attempts of international community to find solutions.